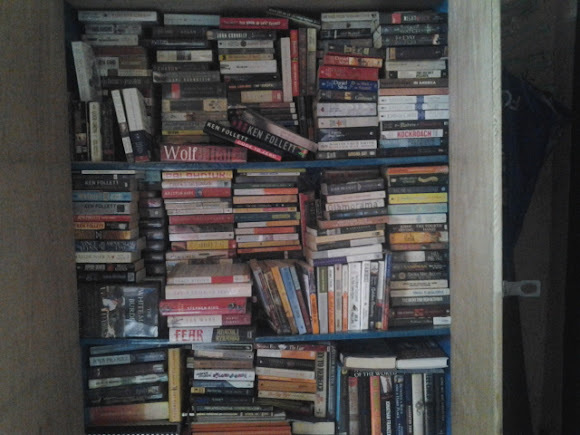 It took me two days to dust off and arrange the books. Hi sillysili, in fairness kahit walang shelves ang ayos parin! This is my bookshelf in my room. It may be just two shelves but there are other books at the back such as the Filipino and Harry Potter books. The space of one shelf is too big and I didn't want to waste it by putting just one row of books. 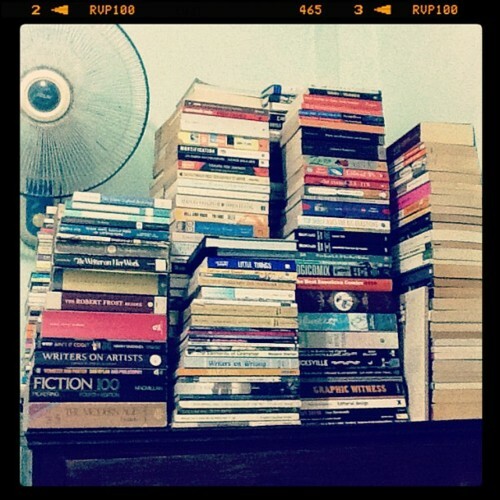 I still haven't fixed my room, so I plan to arrange my bookshelves to make it more organized. Can't share mine as I don't have a bookshelf yet. My books are all packed in bags. Maybe one day.. But! I recall a project by Adam David (I think) called 'Pretentions' on Facebook. Basically what you do is take a picture of yourself holding a book. And if you have a large collection.. then.. I remember browsing through Angelo Suarez's (he is a BRILLIANT man) photos and I wanted so bad to raid his shelves. Oh and yeah, lovely collections, guys. come on and put it on a shelf..
LilMissArtemis wrote: Can't share mine as I don't have a bookshelf yet. My books are all packed in bags. Maybe one day.. But! I recall a project by Adam David (I think) called 'Pretentions' on Facebook. Basically what you do is take a picture of yourself holding a book. And if you have a large collection.. then.. I remember browsing through Angelo Suarez's (he is a BRILLIANT man) photos and I wanted so bad to raid his shelves. ..great.... those are a lot of books..